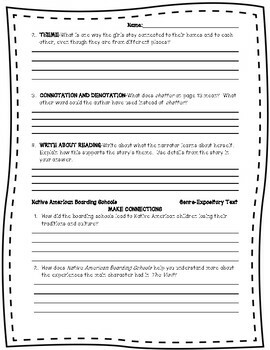 These print and teach activities allow students to work independently or within a small reading groups. 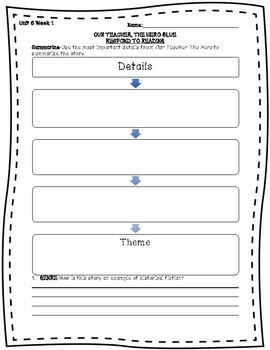 Each week an Essential Question is presented with each skill sheet is incorporated. 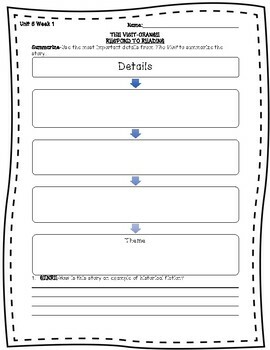 The Respond to Reading skill sheets come with graphic organizers that allow students to actively use reading strategies taught within the unit to help craft their comprehension. 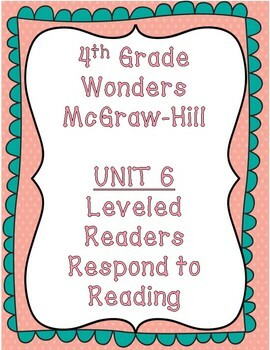 These sheets are creating using resources from McGraw Hill Leveled Readers and the McGraw Hill Teacher Edition.